WWE Champion Daniel Bryan came down to the ring with Erick Rowan to kick off this week’s episode of SmackDown. Bryan pointed at the jumbotron and footage from last week’s SmackDown of Kofi Kingston being replaced in the WWE Championship match this Sunday at Fastlane by Kevin Owens was shown. Bryan explained that he remained silent last week as Shane McMahon and the WWE Universe gushed about Kofi Kingston. A loud “Kofi!” chant broke out but Daniel shouted over the crowd and said that it was his turn to speak. Rowan told the crowd to shut up and open their ears because Daniel Bryan is about to enlighten everyone. Another “Kofi!” chant broke out but Bryan said that he wasn’t out here to talk about Kofi because he is not a leader, he is a supporting player and he is exactly where he should be. Daniel added that Bryan is with New Day on a promotional tour of India. Bryan joked that Mr. McMahon replaced a person that throws out a bunch of pancakes with a person that eats a bunch of pancakes. Daniel claimed that Kevin Owens doesn’t deserve a shot at the WWE Championship because he is a nobody. Bryan added that if he loses the WWE Championship, the entire planet loses. 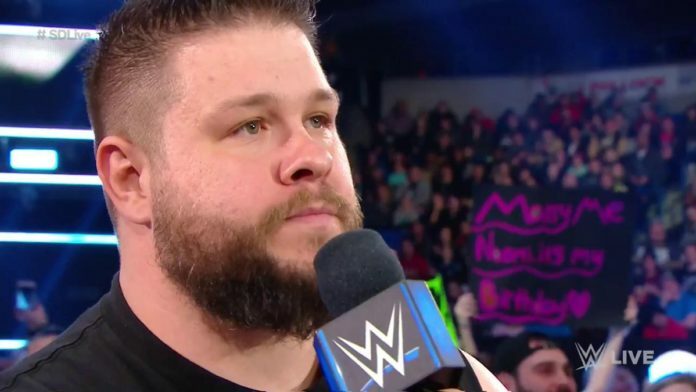 Kevin Owens interrupted and said that he became a member of the WWE Universe during the five months he was injured. Owens said that the time off with his family was great, but it was difficult to watch other people do what he loves to do. Kevin claimed it was awful to watch Bryan act like a maniac and talk down to everyone. Owens blasted Bryan for resorting to fat jokes and called him a pretentious jackass. The crowd broke out in a “yes!” chant as Owens poked fun at Bryan for having a reality show and a 7-foot backup dancer in Erick Rowan. Bryan told Owens that the only reason that he doesn’t have any backup is that he doesn’t have any friends anymore. Owens admitted that it was his own fault that he doesn’t have any friends anymore and boasted about defeating Bryan with a Stunner last week on SmackDown. 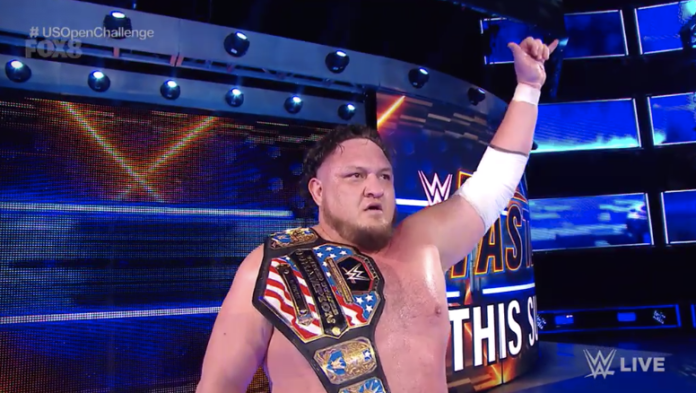 Owens claimed that it was never his intention to take Kofi Kingston’s spot but he will make the best of it and capture the WWE Championship this Sunday at Fastlane. Rowan got it Owens face and Kevin knocked him out of the ring. Owens went for a Stunner on Bryan but Erick got back in the ring and planted Owens with a Chokeslam. It doesn’t take much for me to be excited about a match between Kevin Owens and Daniel Bryan. This promo was solid and I’m looking forward to the match this Sunday night. I’d be shocked if Daniel Bryan dropped the title at Fastlane. It is clear that the crowd is still behind Kofi Kingston and that momentum might lead to him getting his moment at WrestleMania.